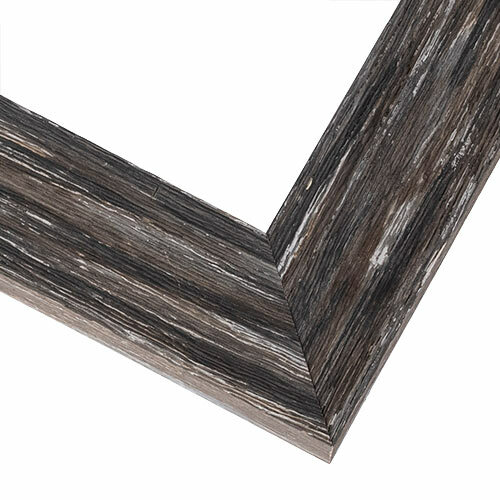 Experience the decorating delights of modern farmhouse design in your space with this beautifully rustic gray wood picture frame. The wide, flat profile gives you plenty of the knotholes and grooved distressing you find on naturally weathered barns. They give this wood picture frame an undeniable charm, and make it a perfect choice for a landscape painting frame, nature photography frame, or family portrait frame. I have purchased frames from this company before and have been 100% satisfied. This weathered gray frame will look perfect with an old train print I have.